Rachel Higgins and Danyel Ferrari present a screening and selection of the projects created by both artists and audience using their (mobile structures) over the course of the exhibition. Drawing on the history of the body's performance/labor in Times Square--the street, the stage, and the semi-private pornographic theaters of the pre-gentrification era--Higgins and Ferrari are creating mobile structures to host a variety of projects intended for use by both participating artists and the general audience. 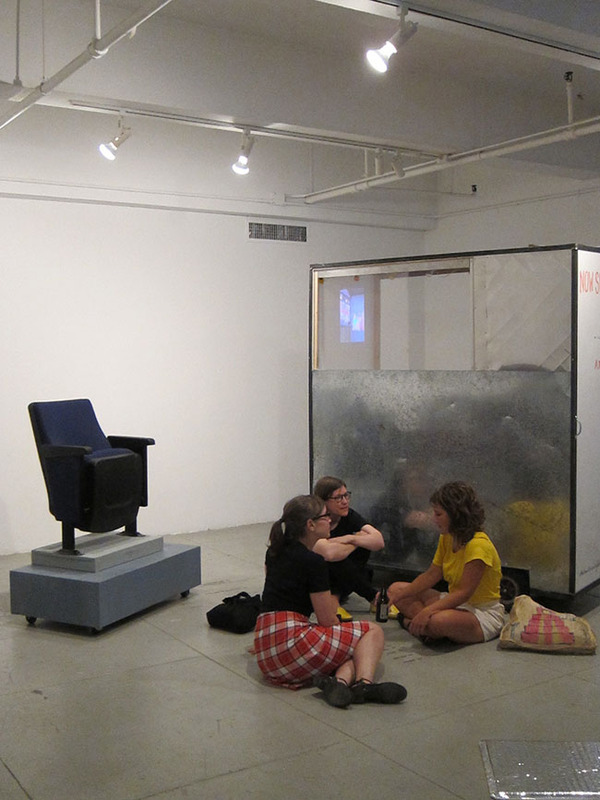 Composed of mobile seating arrangements and a cart that falls somewhere between a traveling film unit and a movable stage, these objects are available to arrange for screenings, performances or events. Designed to also maneuver out o the gallery and travel into the street, these components will be activated throughout the run of the exhibition, allowing for multiple functions and configurations, and questioning our understanding of mobility as both freedom and precocity. After practicing the rap song "One Mic" by NAS for months to learn how to become an MC, Glendalys Medina realized that vulnerability is her true source of power. So she wrote her own song, "Caterpillar," a song about transformation, which she will perform. The music that accompanies this performance is by Flying Lotus. 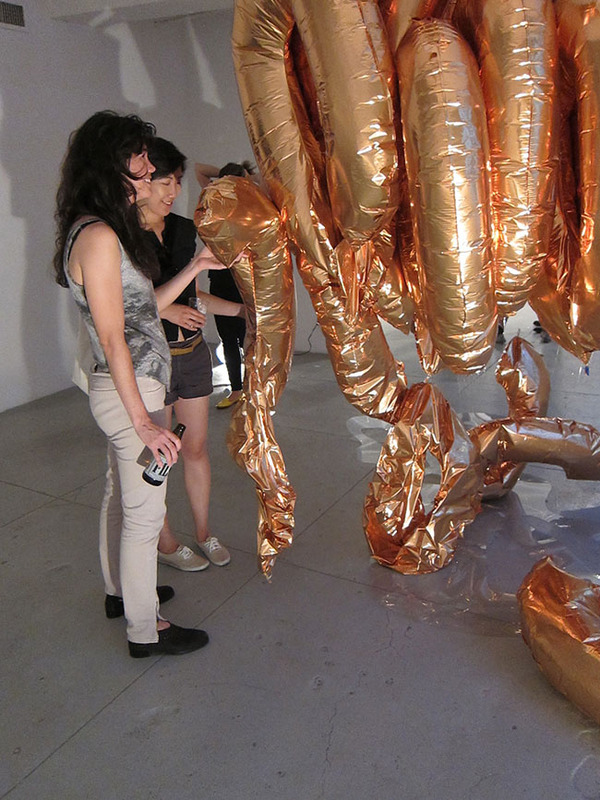 These performances are organized in conjunction with Failing to Levitate on view June 6 - July 3, 2014. Please click here for more information about the exhibition and follow the projects as they evolve at failingtolevitate.net.